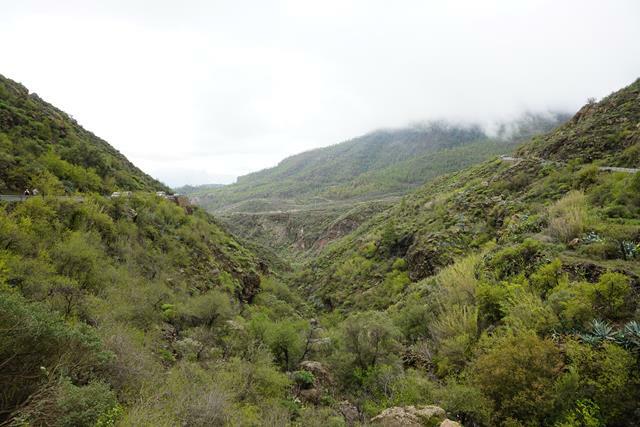 But what made my trip really interesting was the forays into the mountains in the interior. 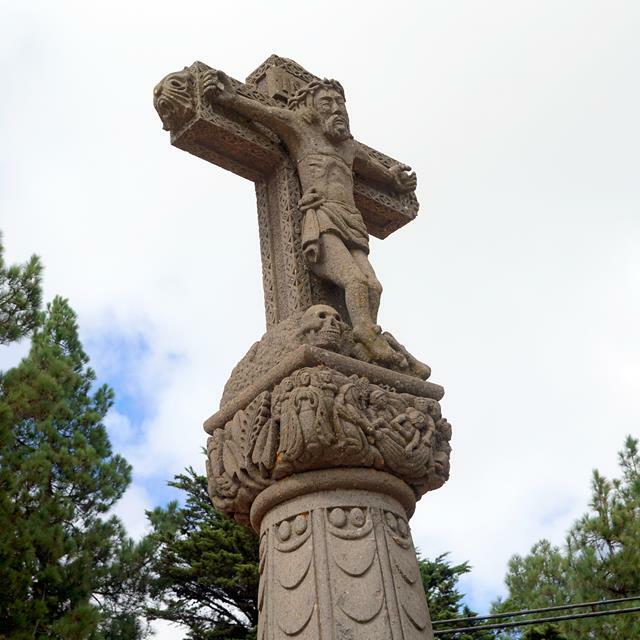 On the very day we arrived, we drove up to the mountains to find the Cruz de Tejeda – the highest pass on the island which you can drive through, and which is marked by a ‘large’ stone cross. It was somewhat underwhelming, to be honest. Is the monument tall? For sure. But the cross itself isn’t huge, so be warned. Lesson learnt: if you use Google Maps, take the shortest route time-wise, not distance-wise. 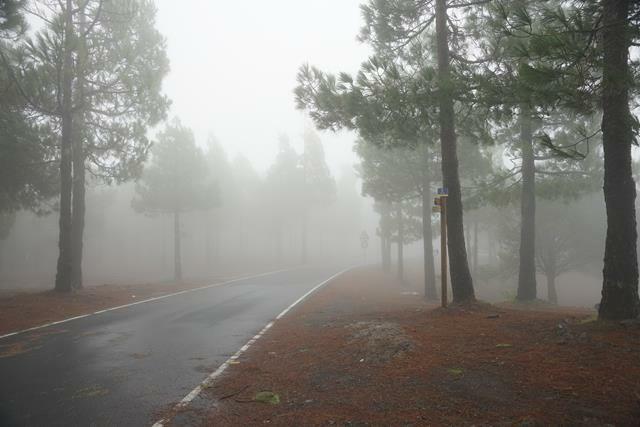 You’ll be directed through the main roads, which can be identified by the prefix “GC-“. 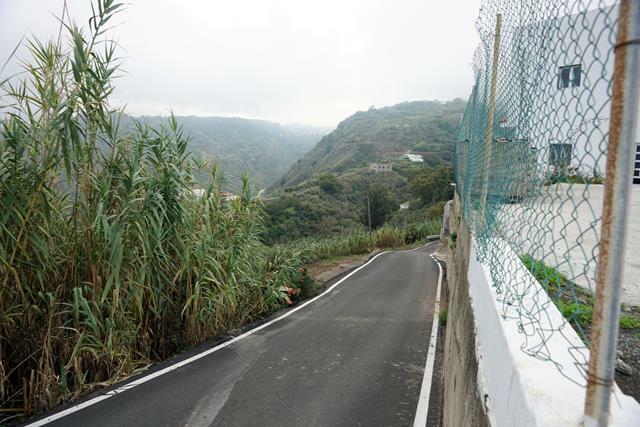 You can also tell by the fact that they’re wide, well-signposted, and have a sturdy railing between you and the edge of the cliff! 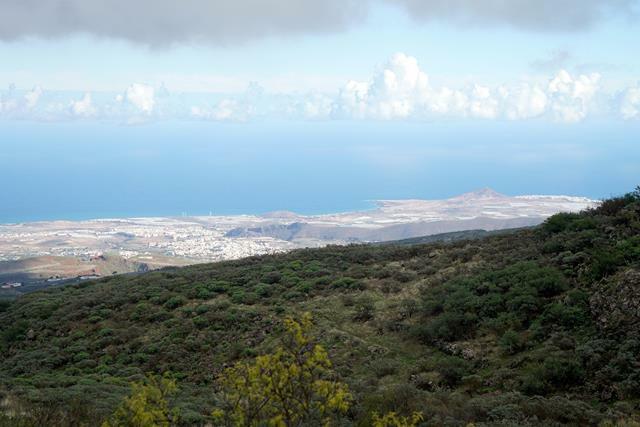 Sometimes, from the mountains, you can hardly tell where the sky and the sea meet. 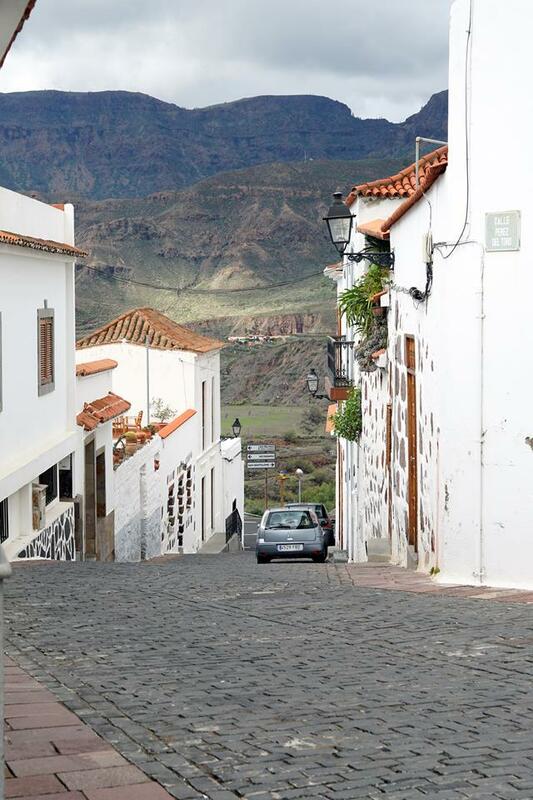 We made a quick stop in this picturesque village on the way to Roque Nublo. We made sure to drive on the main roads this time! 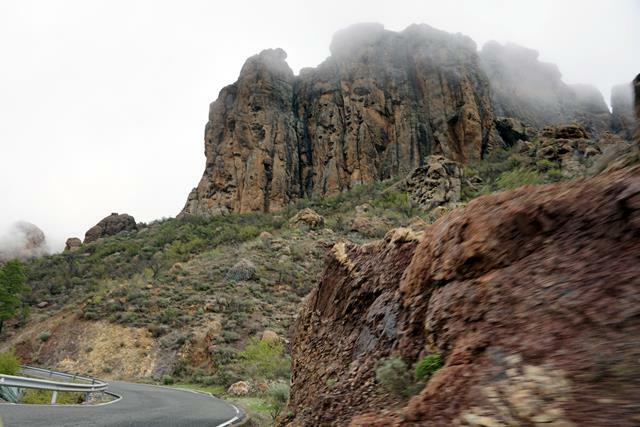 You can see the roads winding through the mountains – just a reminder of how puny we are in the grand scheme of things. And yet, our destructive power over the earth and our fellow inhabitants is completely disproportional. If we could work together to preserve the incredible beauty of nature instead of plundering its resources, think how much better the world would be for generations to come! 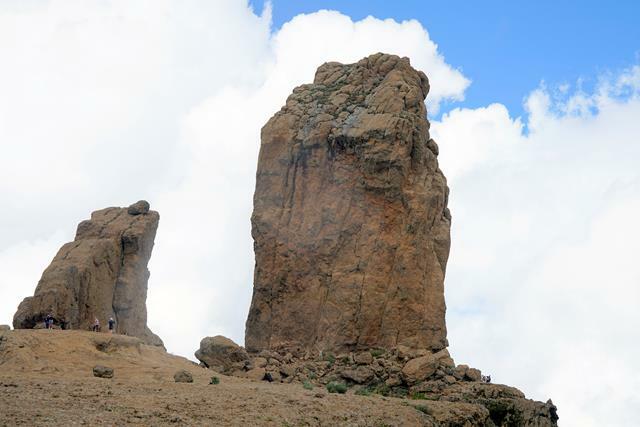 This bizarrely-shaped rock (at 1,803m) is one of Gran Canaria’s landmarks and the hike there is very popular. It’s advisable to do it in the early morning before it gets too crowded. We reached before noon on a Sunday and had a bit of trouble finding parking. 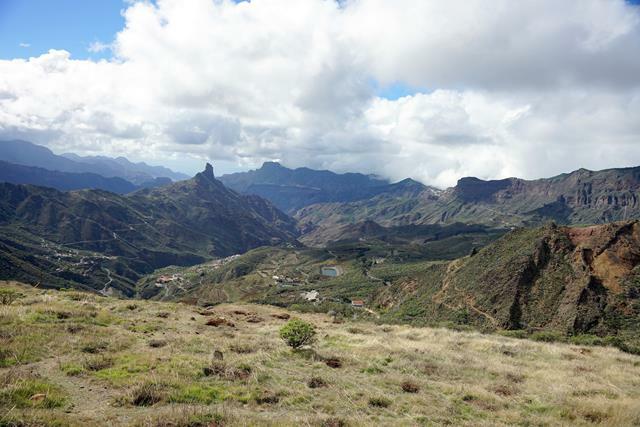 Roque Nublo is the big rock on the right. 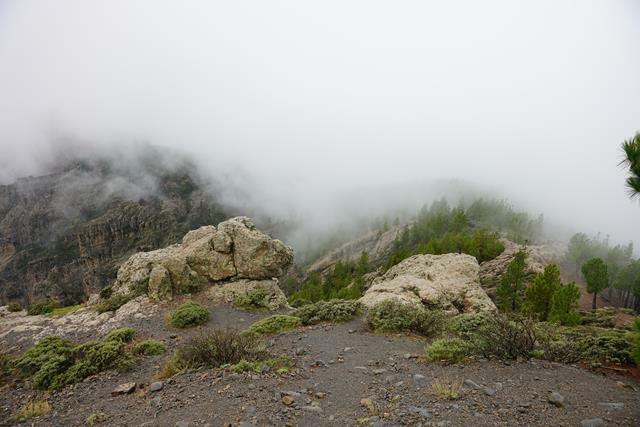 To the left of it are two distinctive rocks: Rana (frog), which is obscured by the cloud, and El Fraile (the friar). We were told that it was a 20-minute hike from the carpark but it felt much longer (although I didn’t actually time myself)! 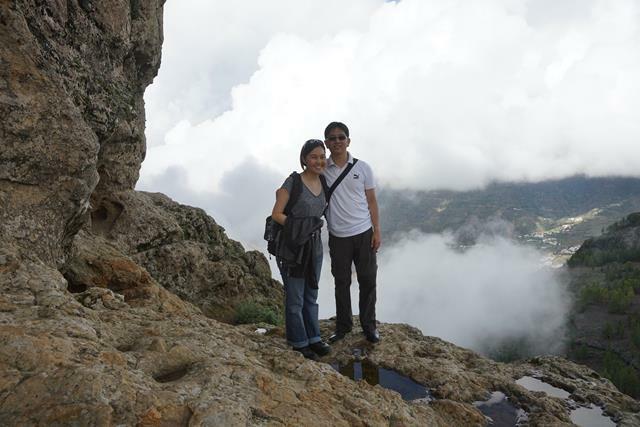 The hike is fairly steep at parts and we weren’t in the best of shape, but the views were amazing. 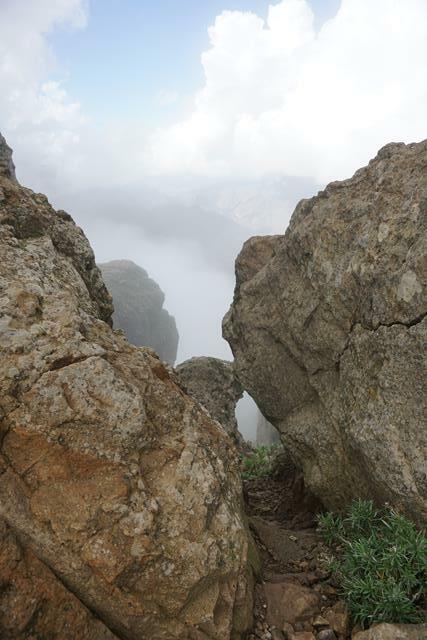 The ascent is about 300m. 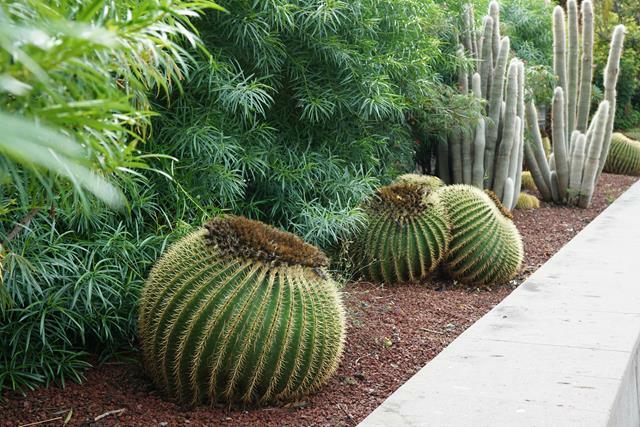 You can clamber around the rocks to a certain extent, depending on how confident and sure-footed you are. I got quite far around the rock but stopped when I came to a part that looked risky. A fall from those heights was the last thing I wanted! 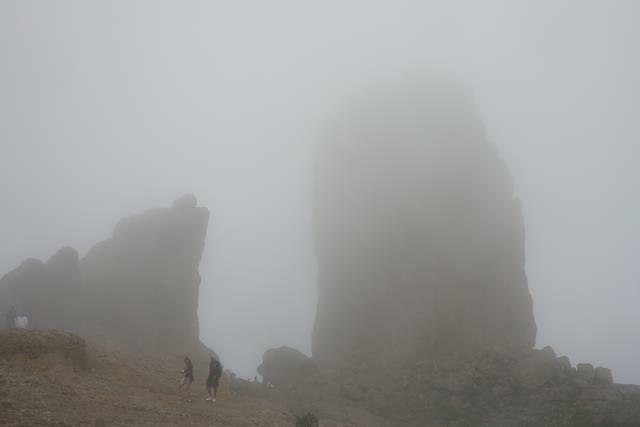 Unfortunately, a cloud soon enveloped the rock and it got extremely misty and even started raining, which reduced visibility to a minimum but also led to some interesting pictures. I got peckish and snacked on chips while up on the rock, which attracted some pigeons who hung around for a bit. They weren’t aggressive, though, and wandered away after they realised they weren’t getting fed. 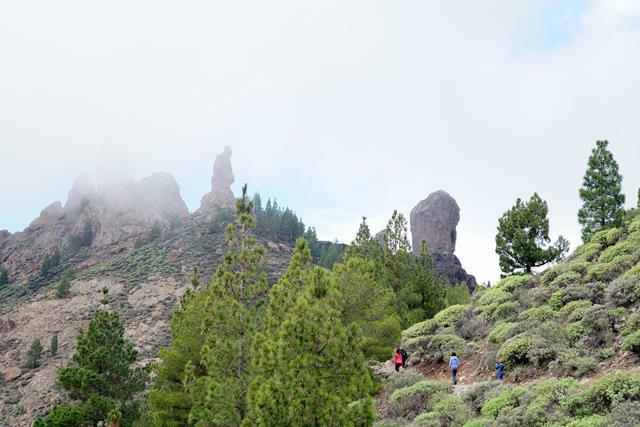 This is the highest mountain on Gran Canaria at 1,949m above sea level. 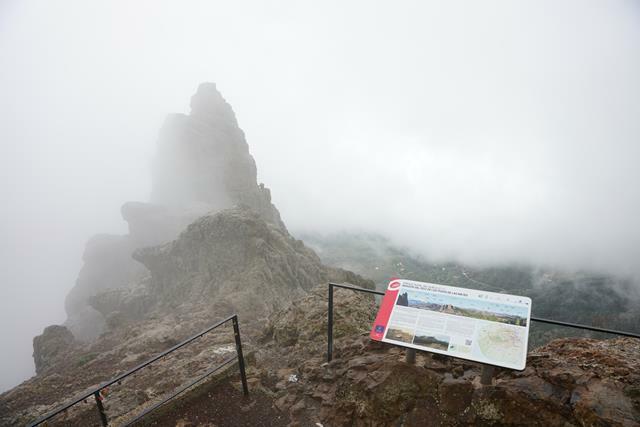 The actual peak is a military zone but below it there is a lookout point where you can see all the way to the coast on a really clear day. Obviously though that wasn’t the case for us! As you can guess from the pictures, it was a cold and rainy day. There was a skinny dog hanging around the parked cars evidently hoping for scraps. Watching her go from car to car shivering made my heart ache. Then a guy came along and started fussing over her like a long-lost friend while asking the nearby kiosk owner if she belonged to him (apparently not). He went on at some length but I only caught a part about how she was soaked from the rain and was going to die from the cold. Eventually, he carried her to his car and the last I saw of her was her face looking out from the back window as we drove away. I don’t know what happened to her, but I hope with all my heart that she is now happily adopted into a loving home! 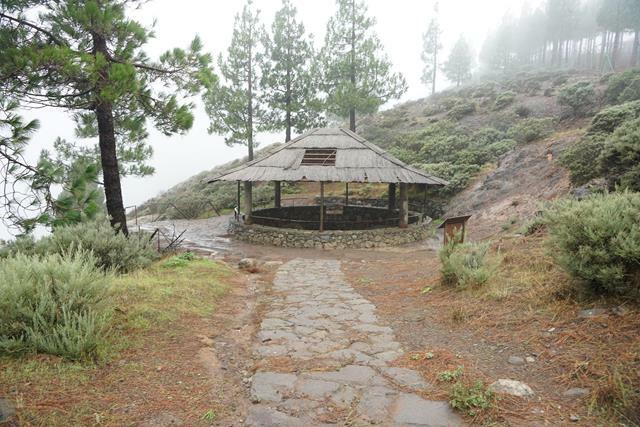 A little way below the lookout point you can see this snow well (Pozo de las Nieves). 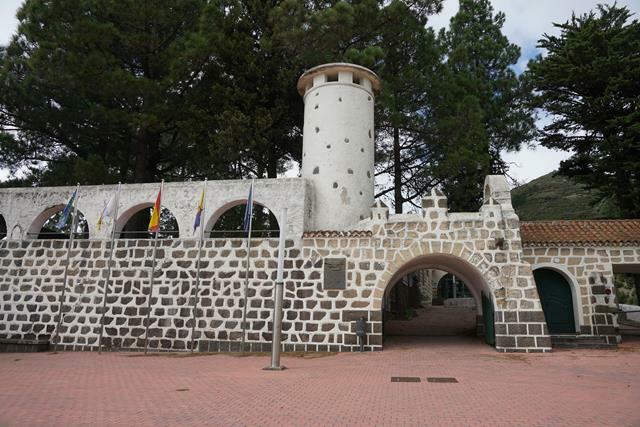 It used to be filled with compressed snow during winter, for use in the summer. An early version of the humble refrigerator! 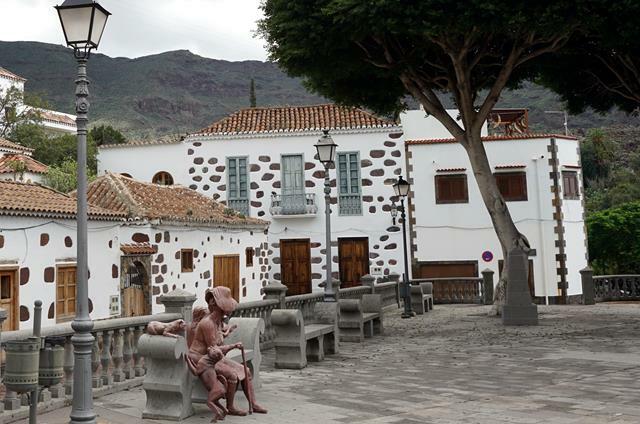 This mountain village in the northwestern part of Gran Canaria is the highest settlement at 1,251m. 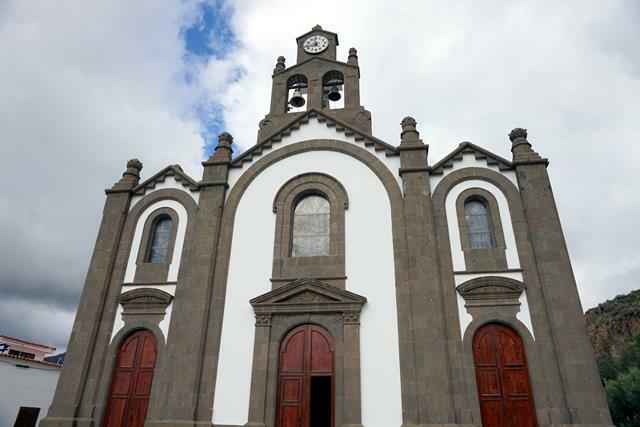 It’s famous for its cave church (and in fact, many residents still live in caves). However, we only spent about 3 minutes here as I suddenly realised that we were going to be terribly late for our next appointment – a horseback riding excursion! 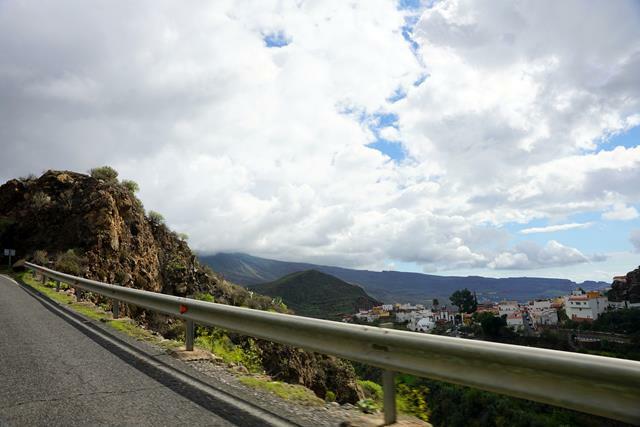 We headed towards the town of El Salobre as quickly as we could, but there’s only so fast you can go on winding mountain roads. 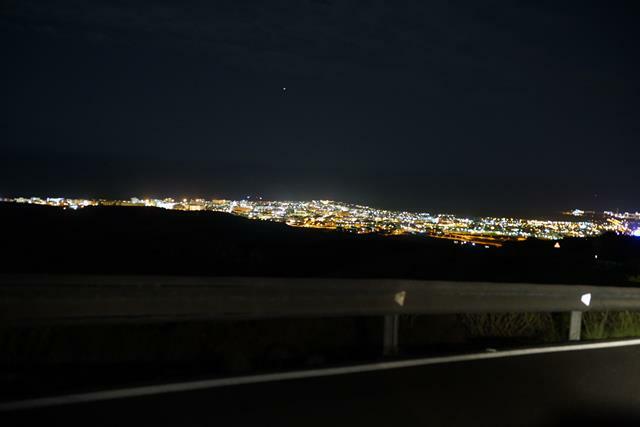 In the end, we missed the 2-hour group excursion but went on a private ride for about an hour before nightfall. The terrain is sandy but the rocks had been washed away by the recent heavy rains, so it was difficult for the horses at times. We managed to gallop for a bit though! 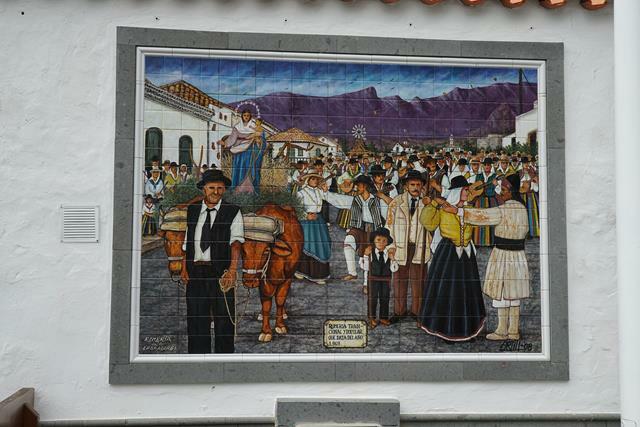 A 1-hour excursion cost EUR36 per person; a 2-hour one costs EUR49 each. When travelling, I always try to squeeze in at least one horseback riding excursion no matter where I go. What’s your weak spot? 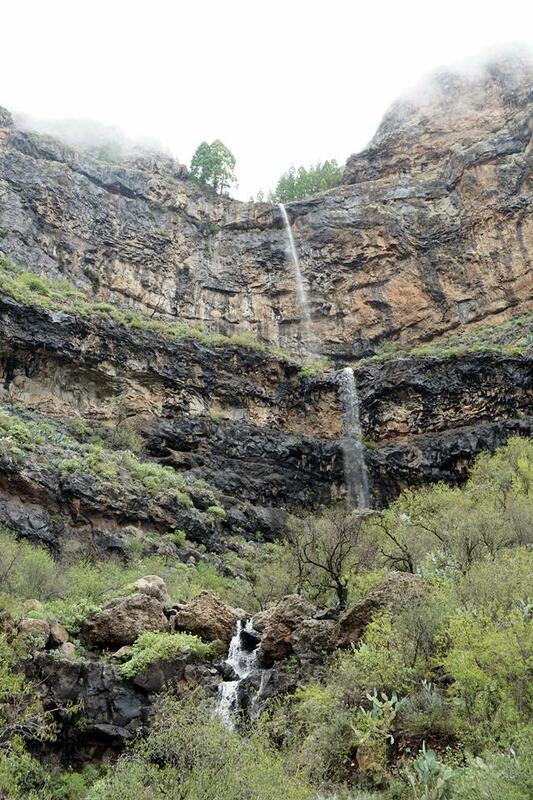 The photos of the mountains are beautiful. 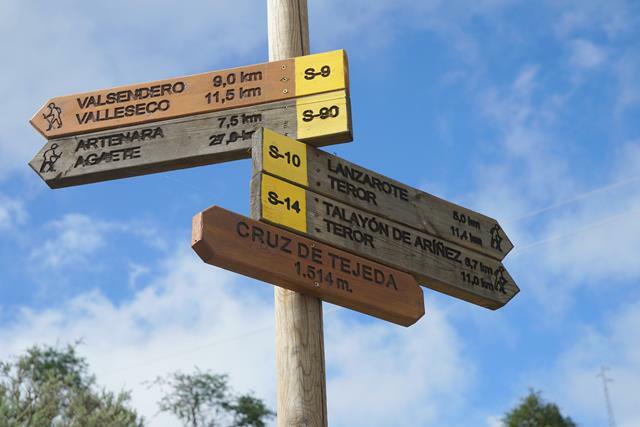 Good to hear that you indulged your passion for horse riding at El Salobre. 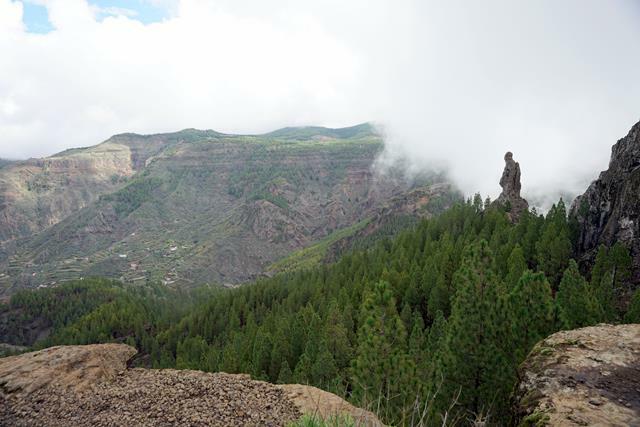 Loved reading about a different side of Gran Canaria and those photos make it look quite magical. 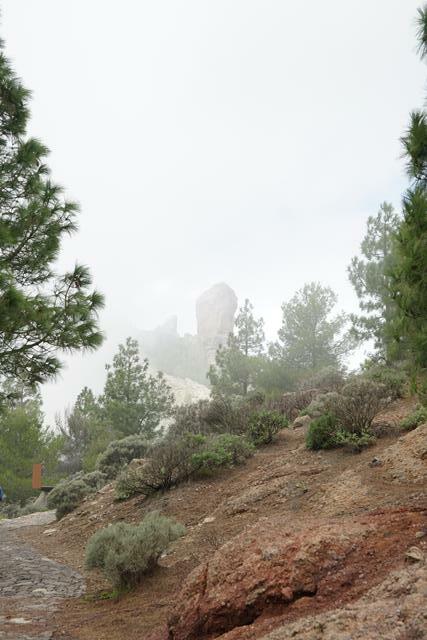 I’ve got a thing about mists… That rock really does look like a friar. Thanks for your tips about driving. I’ll be sure to remember that if I go – and I’d very much like to one day. This island is something else, right? 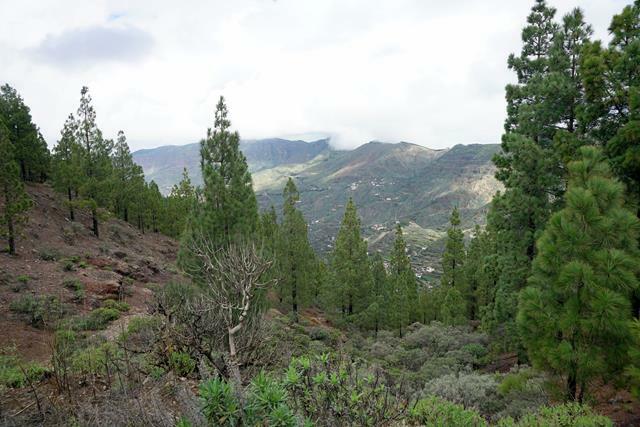 The Canary Islands have volcanic origins. That alone tells a bit of the wonders you can encounter in the inside. I would love to rent a car, circle the island and pay a visit to the interior. Those roads look stressful! I travel like you, cramming in as much as possible:) I rode horses when I was younger but never seem to have the time on trips. We almost always make time for a hike though! It’s always a struggle for me to manage my time while travelling as there’s always so much I want to see and do! I started relatively fairly late in life (after graduating from university) and I don’t do it regularly anymore so I seize every chance I get 🙂 Hiking is also a great way to exercise and enjoy nature while vacationing! I remember your post on that 🙂 Thanks for stopping by! Thank you! 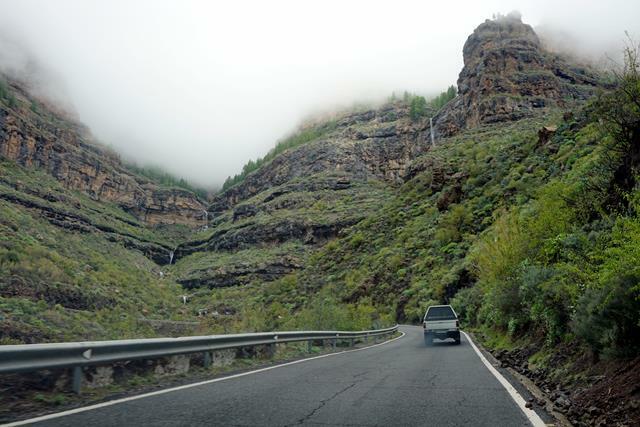 I definitely recommend making a trip into the mountains to anyone visiting Gran Canaria! 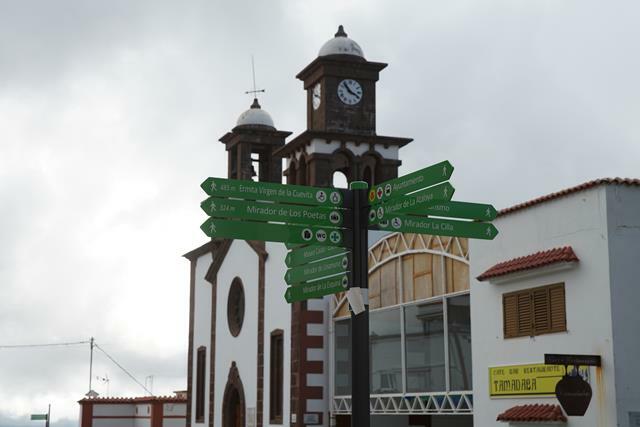 Hi Michelle – I am soon heading to Gran Canaria, so this post helps a lot. Thanks! Glad that you found it helpful, Ruta! 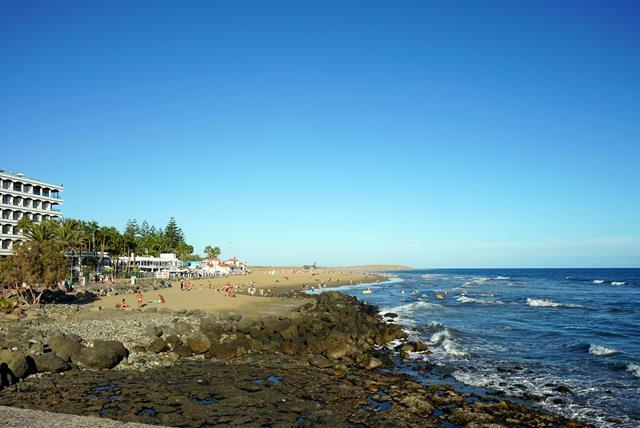 Hope you have a great time in Gran Canaria!